Global Ewaste Solutions - Why GES? Global Ewaste Solutions is committed to providing superior IT asset management solutions tailored to your needs. As a leader in managing the complete life-cycle of IT assets, we offer an extensive suite of services to enterprises including data security, refurbishing and re-marketing. We believe in a sustainable future. Our focus on refurbishment and re-marketing increases the life-cycles of your IT assets and reduces waste wherever possible. 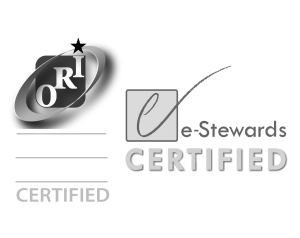 As an e-Stewards certified recycler, we adhere to a zero landfill policy on all e-waste, thus maintaining our commitment to the environment. Furthermore, GES upholds the highest standards in social responsibility using no prison, forced, or child labor in neither our organization, nor any of our downstream suppliers. GES has strict security procedures for both our facilities and employees to ensure the security of all customer information.